Welcome to Highland Car Wash! 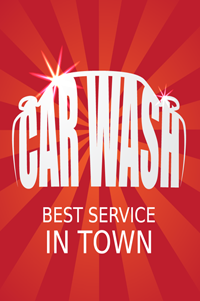 "Voted #1 Full Services Car Wash in Highland"
We know how you feel about your car and your desire to preserve its shiny finish. That's why we treat every car with TLC. That means no harsh bristles and no outdated barbaric equipment that could permanently damage your car: just the safe, gentle touch of Lammscloth. Actually, we bathe each and every car with ultras-soft lamb's wool mitts. We use only the absolute finest soaps, sealers, waxes and conditioners. Read more. Save on your favorite Car Wash and Express Lube packages! We'd like to help you save at the same time! Click here often for coupons and offers. Read more. Courtesy ride available with all major detail services.